You are here: Home / DISC FAQs / How Can I Better Understand Another Person? 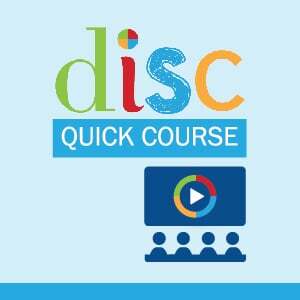 How can you use the DISC assessment or knowledge of the DISC model to better understand another person? When you don’t have knowledge of the DISC model or similar information, and you meet another person, it’s easy to slip into stereotyping and judging people. He could then start stereotyping Guy as a boring, uninterested, engineer, and get stuck with the label he just created. He could then start equating Guy with being difficult. Guy equals hard to deal with. Guy is unfriendly. All of these labels because Guy is different from Kevin and Kevin doesn’t understand Guy. Once he has the DISC model and understands it well enough to apply it, he can start to understand Guy rather than label him. He can start to understand Guy’s drivers and motivators rather than get stuck misunderstanding Guy’s behaviors. The DISC model gives you an objective framework — a way to think clearly and objectively about others — so that you can better understand them. You can understand how they are different from you and how you can bridge the differences between you. The DISC model helps you to realize that a difference between you and another person doesn’t indicate a deficiency in them, it’s just a difference in how you do things. While you might start to understand that abstractly and organically as you work with people, the DISC model can help you speed the process. 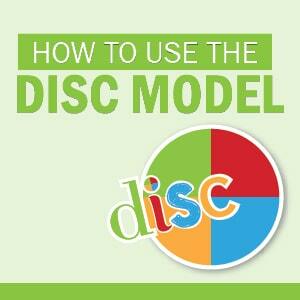 The DISC model gives you a framework to do that. When you don’t have a good emotional hook from your experience and your learning to truly understand another person, the DISC model gives you that lens to look into their world and gain some deeper understanding so that you can start to see them as a normal human being who happens to do things differently from you. Then you can back off your judgment and criticism and look for ways to connect, understand, build a better relationship, and get more productive together. Here’s what we hope you do with the DISC model: avoid putting people in a box or applying labels to them and their behavior. Avoid the temptation to judge their behavior, and, instead, focus on learning to understand them.